Love this snack…perfect way to handle my sweet tooth. Super random or delicious?! What do you think? 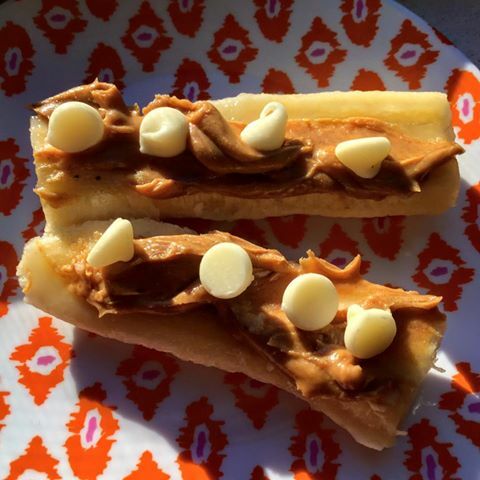 Banana slices topped with peanut butter and chocolate chips!! Yum! This entry was posted in Recipes and tagged coach, diet, healthy, snacks, Sweet tooth on September 12, 2016 by danielle.